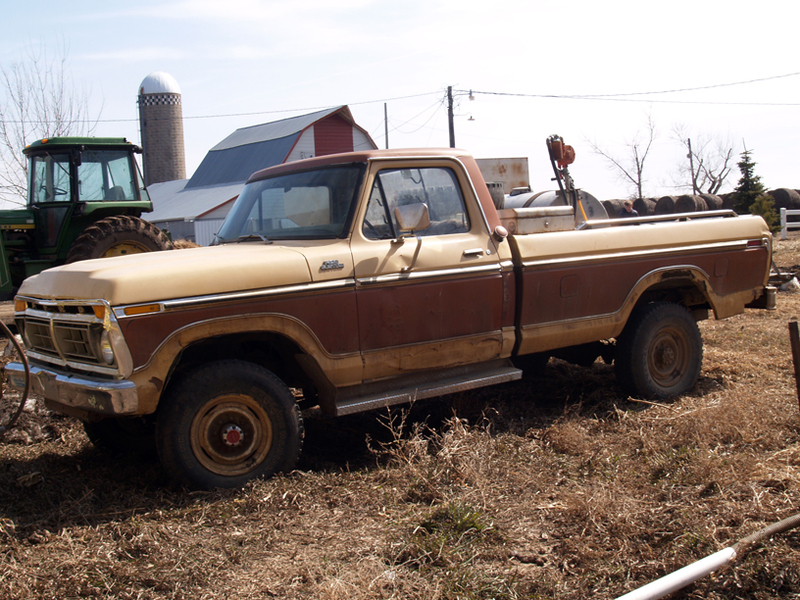 For the introduction to this series about a never-say-die 1977 Ford F-250 farm truck (“Old Brown”) and how (and why) it needed replacement parts, visit “One Piece At a Time“. Doors and the latches that open and close them are necessities that are taken for granted in most vehicles. In Old Brown, they were luxuries. After much use, the driver side door latch gave up and wobbled loosely instead of opening the door. No problem, all that was needed was to crank down the window (kids, ask your parents what a window crank is). After the window was down, a person needed to reach for the outside latch and pull. Voila! Open door. Fixing such a trivial thing was out of the question–only really large repairs were justification to remove Old Brown from service for even a short period of time. As time went on, the passenger side door outside latch gave up working. This meant that for a passenger to get into the truck, the driver had to reach over and open the door for them. This system worked well and us kids quickly adapted to the proper protocols for entering and exiting the pickup. More time went by and the window on the driver door became stuck and refused to go down when cranking. This meant that the only way to exit the vehicle was through the passenger door. Since the only way to enter was through the driver side door, this resulted in one-way traffic through Old Brown’s cab. To get in, you had to enter through the driver door and slide across the seat to the passenger side. Exiting meant the passenger got out first and left the door open for the driver. Given that Old Brown was a manual transmission and sliding across the seat meant tangling your legs in the gearshift, it wasn’t long before a new driver door, and a new latch for the passenger door were installed. Dad even splurged and had the door painted to match the rest of Old Brown. We still had to crank the windows down by hand. If you want to follow more of “Old Brown’s” adventures, visit the Farm Trucks page. While many pickup parts wore out due to natural causes, others had a much more dramatic and interesting end.